Free Dining Early Next Week…or Not? 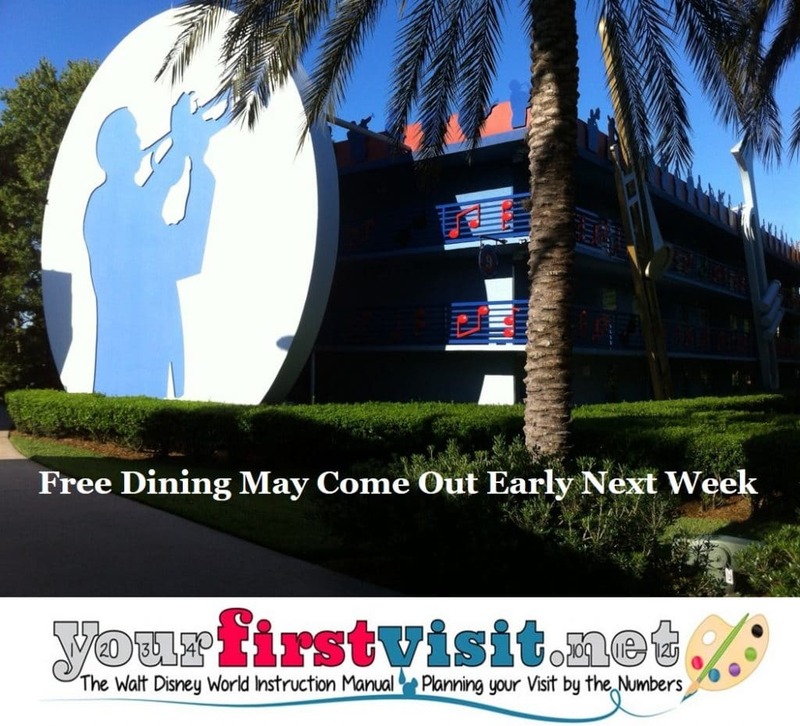 Free Dining may drop as early as Monday April 23, later that week, or as late as Monday April 30. The earlier dates (that is, the 23rd or 24th) are widely believed to be the most likely. Update 4/23: No free dining today. Many rumors that it will come out tomorrow! Rumors also that the first eligible check in date for the general public will be 8/20. The rumor I posted about last week had it coming out April 27. The source of that rumor—a post from a Brazilian travel agent—has been taken down. There’s a couple of ways you can check to see if it’s out and what the details are. Go to your favorite high-volume Disney World forum. I’d suggest Josh’s forum but the earliest mentions are likely to be on this thread on Disboards*. However, I can think of one reason why Free Dining might come out later than the common view of April 23 or 24th. Recall that when Disney raised ticket prices in February, it noted that “later this year” it would be shifting multi-day tickets to seasonal pricing—in effect, a ticket price increase, at least for certain dates. I’ve thought since that announcement that one of the most sensible times for Disney to move to seasonal multi-day ticket prices would be after the Toy Story Land mania started, but before Free Dining was announced. That way, the new ticket prices would be in effect for many free dining packages. Well, with the announcement of FastPass+ tiers at Toy Story Land earlier this week , I think we are in that period. So I would not be surprised to see the new set of multi-day ticket prices come out on Sunday April 22 or early next week, and Free Dining to come out in turn a few days after that—so that folks have some time to calibrate their free dining plans in the context of the new ticket prices. If something else happens, which I suppose is likely, you can complain to me in person on April 28 at Epcot. You can still refer to “Dave Shute’s site” with no link. 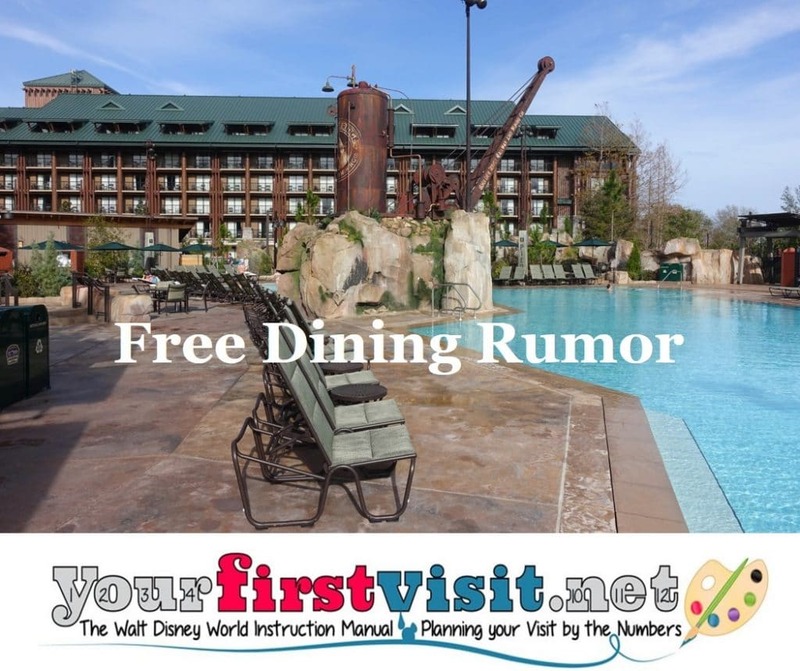 Update 4/19: The most common rumor now is that 2018 free dining will become available April 23 or 24. One of my buddies was kind enough to translate a post from a South American travel agent today for me about Disney World free dining. While all the specifics largely match what I’d expect except the early August start, treat this more as a rumor than as a leak until other confirmatory (or not!) material comes out. Tickets must Park Hopper or Park Hopper Plus. For more on Free Dining, see this. If you book your vacation through my travel agent partner Kelly, she will automatically get it moved into Free Dining* if you end up being eligible and rooms are available ! Contact her via the form on this page. *and if it’s the best deal for you–others might save you more! Update: the 2017 deal is out, see this for details. The Disney World deal Free Dining is back this year–with one major change. Guests booking a moderate resort stay will now only be receiving for free the Quick Service Dining Plan, rather than the “regular” Disney Dining Plan which includes table service meals that they have received in past versions of this deal. Values and deluxes will get the same deal as in recent years–quick service at the values, and the regular plan at the deluxes. 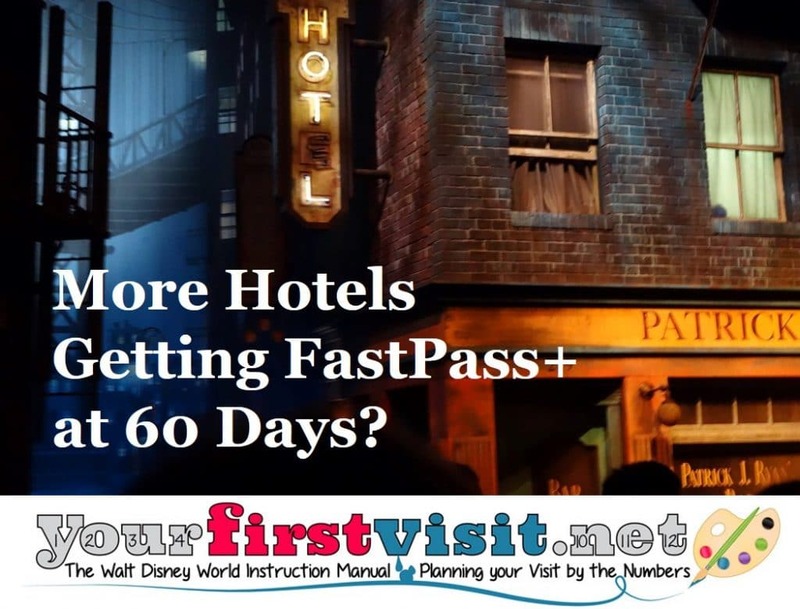 In order to get the deal, guests must book a minimum 3-night-stay with 2 days of Park Hopper or Park Hopper+ tickets. Booking for the package will open tomorrow, Monday, April 24th, 2017. Available arrival dates will be between August 21st* and September 30th, 2017, as well as select dates between November 14th through December 23rd. Rumor has it that the November and December eligible arrival dates will be 11/14-11/20, 11/25-11/27, and 12/8-12/23. To get a travel agent to make over your reservation, contact Kelly at 980-429-4499 or kellyb@destinationsinflorida.com. 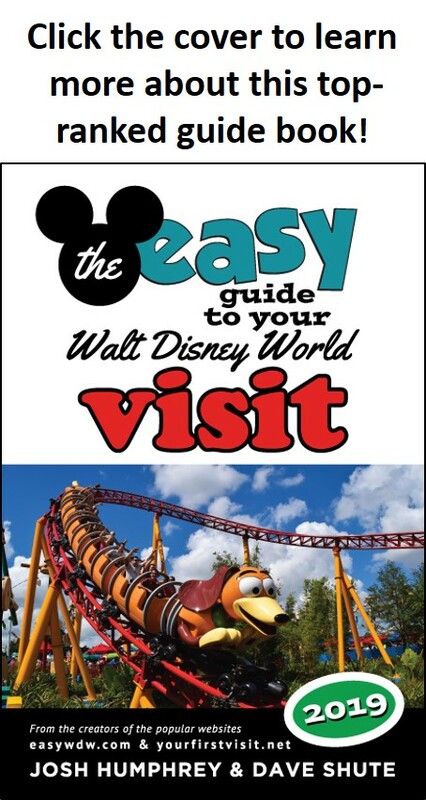 *Beginning August 13th for Disney Visa Cardholders, and Canadian guests. Disney’s Caribbean Beach Resort will be going into a major refurb beginning around May 1. 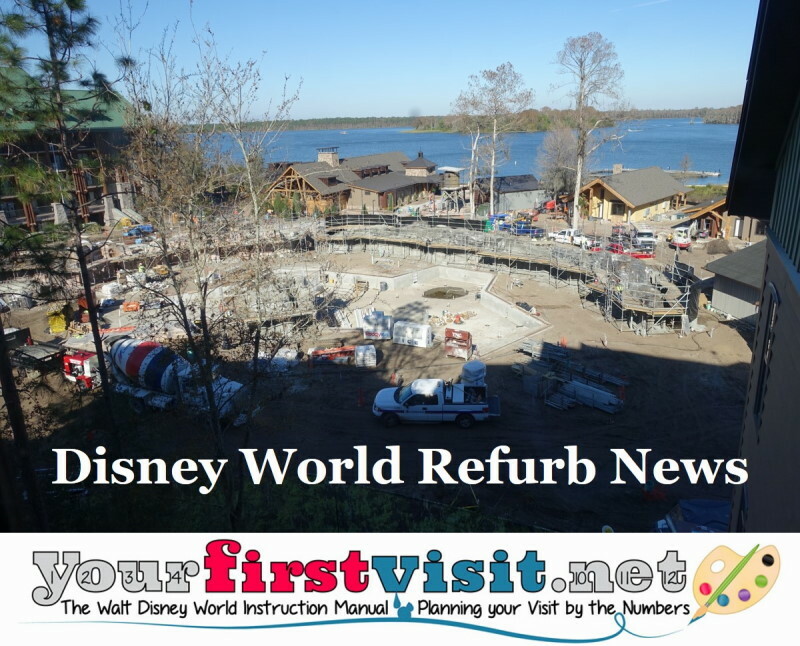 The scope of the refurb has led some to suggest avoiding the resort or changing your reservations if you are staying there. However, Disney will be providing guests booked there May 1 and later a $75 gift card, per night, as a compensation for the awkwardness. At least until Columbus Day, which is as far as I want to speculate, this is a discount of 27-35% off the rates of a standard room. Some will find this an entirely adequate payment for the awkwardness. If you have any qualms, change your resort. The potential for you to second-guess yourself is too high. 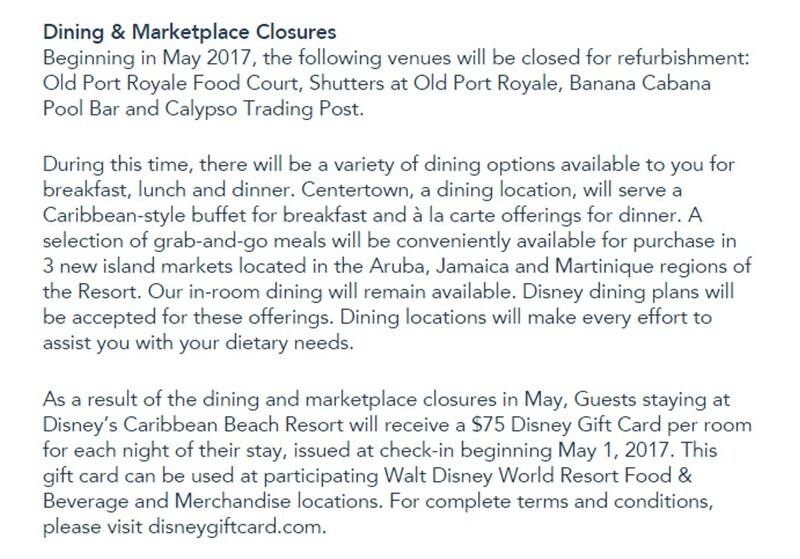 If you are one of the seven people worldwide who chose Caribbean Beach specifically for Shutters or the food court, change your resort. If you never felt strongly about staying at Caribbean Beach anyway, change your resort. If you picked Caribbean Beach for its tranquility, consider how construction noise might affect that. If you picked it for the kid appeal/the beaches/the pool/the colors, for most I think the $75 per night gift card will be sufficient compensation for you to stay—but avoid Barbados and perhaps Martinique (for reasons I’ll get into below). The refurb seems to have two parts. One is a shut-down of the food court, table service restaurant Shutters, gift shop Calypso Trading Post, and pool-side bar Banana Cabana. 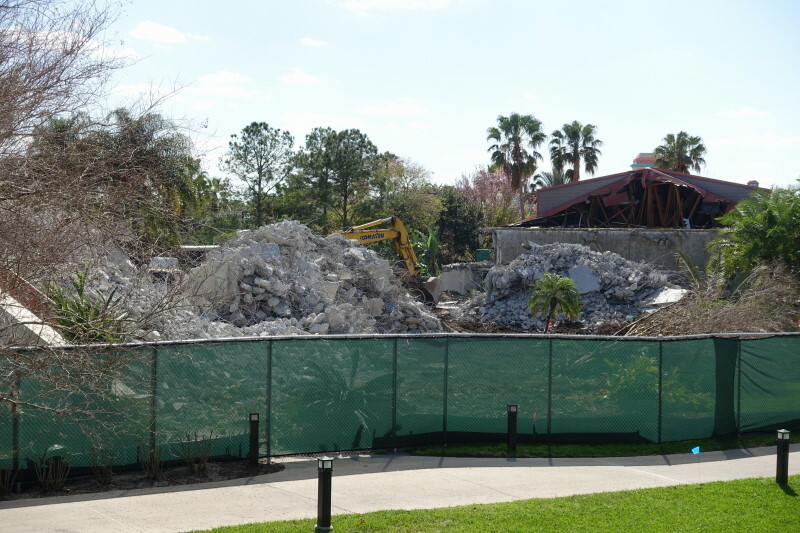 These will be somewhat replaced by a new breakfast buffet and menu of dinner offerings from new (presumably temporary) facilities in “Centertown,” which is the broad area that includes the pool and former dining and shopping areas. My guess is that these will be centered on the old bar Banana Cabana, since it has power, water, etc. Also available will be some new grab and go locations in Aruba, Jamaica and Martinique, and, I suspect, a food truck in Trinidad South. Closure for refurb of food areas is pretty routine at Disney World—Port Orleans French Quarter just went through this, and there was not much panic. This, however, is a more extensive closure, including the bar and gift shop as well. Frankly, I expect the (temporary) supplemental replacements to be largely adequate—even after the closures, there will likely still be more counter service available at Caribbean Beach than in all of the BoardWalk Inn, Beach Club and Yacht Club combined (at least until the new counter service-ish area opens in the Yacht Club gift shop). But we won’t know for sure until the supplemental options open. I have a stay booked here in early June—gonna catch me some Pandora, and the new fireworks show at the Magic Kingdom—and will report on specifics then. The second thing that seems to be going on is construction, possibly even demolition, in the Barbados and Martinique areas. It’s been widely speculated that a new Disney Vacation Club building will be going into the footprint of Barbados and perhaps some of Martinique—and, it is to be hoped, the Custom House check-in area as well. As I’d noted here, my guess and hope is that as part of this project, the current building housing dining and retail will be converted (or demolished and rebuilt) as the check-in area for Caribbean Beach. If my guesses are true, then there will be a lot of construction noise around Barbados and Martinique in particular, so for sure I would avoid rooms there…even the preferred rooms in Martinique, because of the Centertown construction noise. “We also have other kinds of expansion opportunities, like hotels… where not only do we have the property but we’ve seen such high occupancy rates in Orlando … that we believe that it would be smart for us to build more hotels out.” Bob Iger, Q4 2016 Earnings Call. Disney World made some announcements last week about its Coronado Springs and Caribbean Beach resorts. 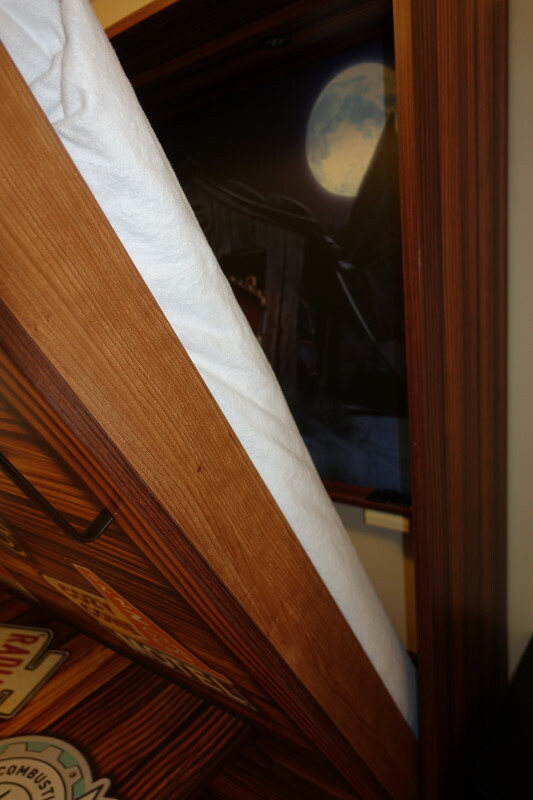 These, coupled with some other Caribbean Beach rumors, and continuing interest in the Wilderness Lodge refurb, made me think it’s time for a brief refurb update. The new building will be in the area that until recently was Cabana 9b—the “business class” part of Coronado Springs (Coronado Springs is the only convention resort among the moderates, and so has always had more amenities than the other moderates). Buzz, author of an unofficial Coronado Springs website, has also predicted that the Coronado Springs lobby will shift to the new building. My guess is that the new building will likely gain a bus stop as well. Demolition work has already started—this shot is from my visit in early March. Between demolition and construction noise, my previously-recommended best buildings at Coronado Springs, 9a and 8b, are probably no longer the best choices. 8a will be the best choice until the construction noise settles down. 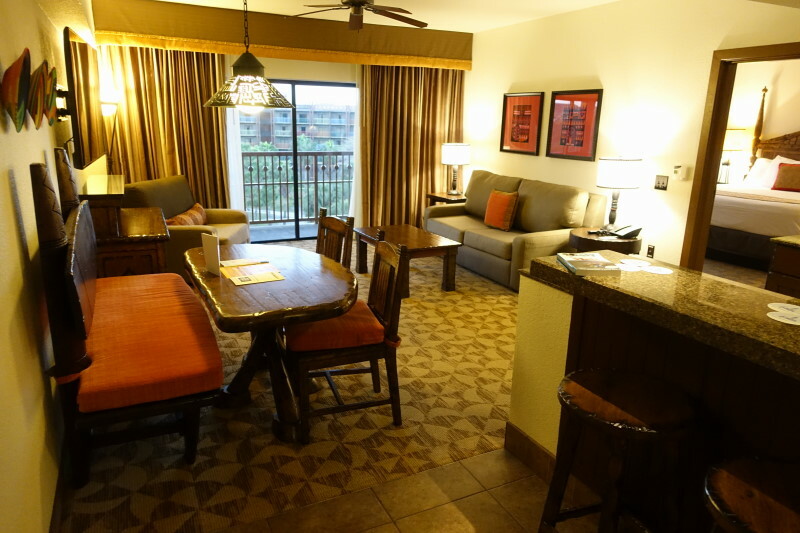 The new rooms and amenities in a compact footprint will make Coronado Springs more attractive to the convention market. I expect the “regular” new rooms to be priced with at least the 40-50% premium over standard view Coronado Springs rooms that 9B business class rooms used to show. Also over the next year or two the rest of the Coronado Springs rooms in the Casitas, Ranchos and Cabanas areas will see a refurb, which began in January. 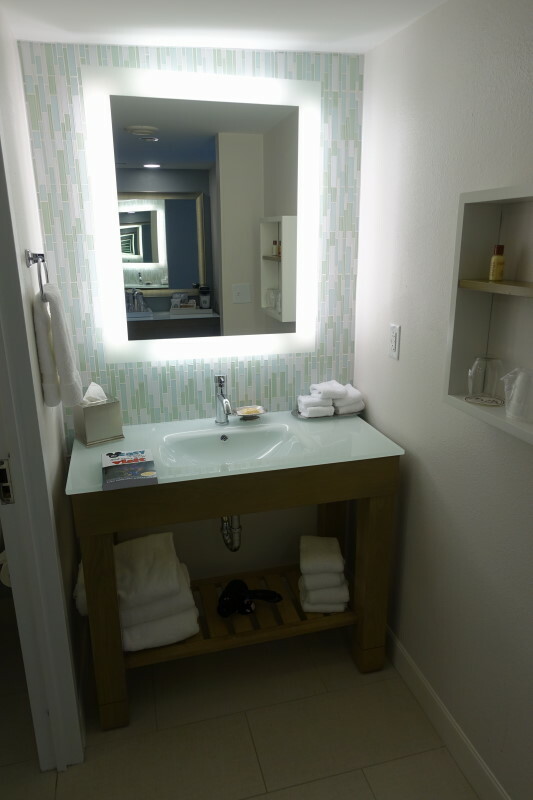 Refurbed rooms in the current buildings will have a simpler, cleaner look, and have the two sinks common at the other moderates rather than the one sink found in the current CSR rooms. Concept photos for this refurb are here. This room refurb will happen building by building and will not be disruptive the way the new tower will be. And that a new gondola system might be built that would interconnect Epcot, Hollywood Studios, and Caribbean Beach (and for all I know, Coronado Springs, although the permit rumors have not included that last point). If you know Caribbean Beach, you already know that all services here are already “centralized” except the check-in building, the Custom House. So is that what is going on here? Dining and retail are being moved to the waterfront to create a footprint so that the spaces where they currently are can be turned over to a check in area? If so, then that would get rid of one of the major issues with Caribbean Beach right now—the distance of the check in area from every other part of Caribbean Beach. On the other rumors I am more agnostic. Certainly the old Barbados footprint and, if I am right, the Custom House footprint could be carved off into a new DVC property—especially if the gondola rumor is real (although speculation that the gondolas will also run to Pop and AofA suggests no necessary tie to exclusive DVC amenities). However, much of the DVC-here speculation came from no one being able to imagine that CB would get a tower. Now that Coronado Springs is getting a tower, I think a little more skepticism is in order here. Interestingly, the clearest evidence of DVC on part of the old Caribbean Beach footprint would be Disney not talking about it, as there are regulations that apply to premature marketing of timeshares that don’t apply to straight hotel rooms. So if unexplained accommodations buildings start emerging, perhaps the less we hear the more we will know. Regardless, expect construction and noise along the waterfront in Old Port Royale, which likely will make the rooms in the nearer part of Martinique and Trinidad North a little less comfortable to stay in, because of noise. 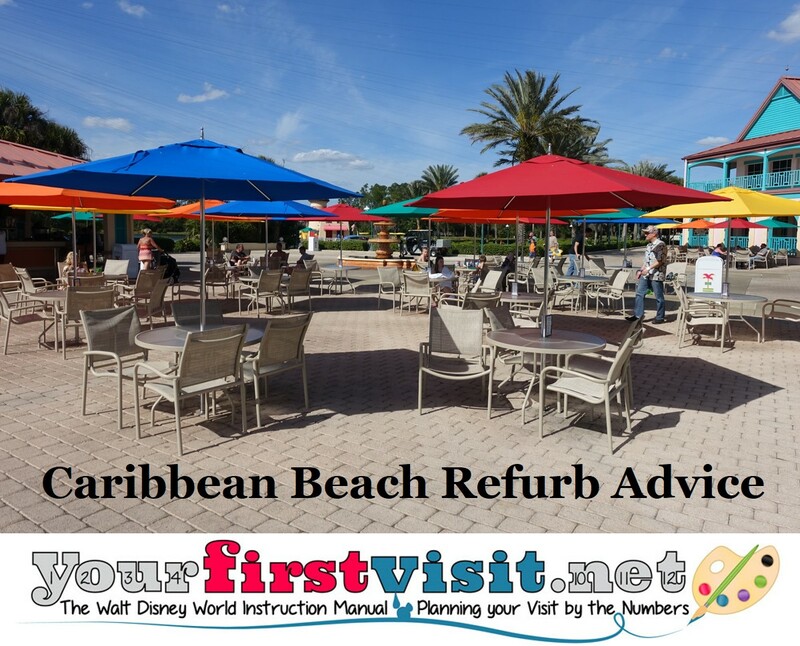 For more on the Caribbean Beach refurb, see this. 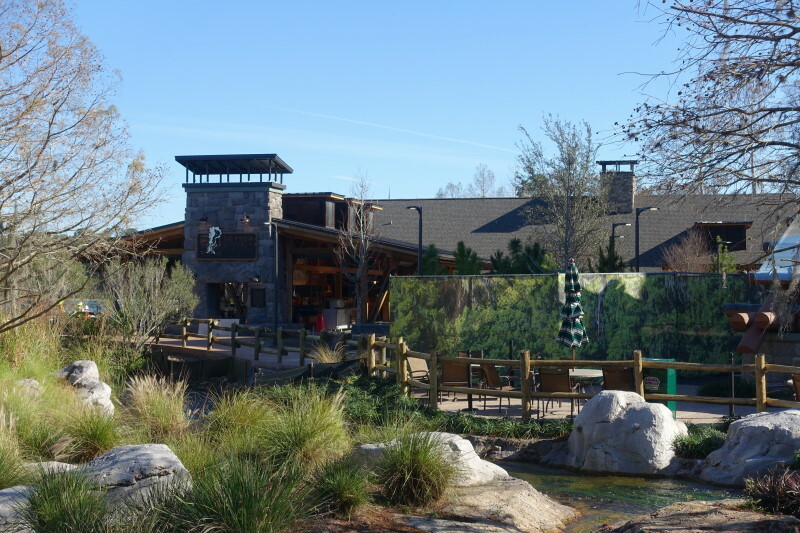 The Wilderness Lodge refurb that’s been going on for a while now is coming to a close. Booking the new rooms here begins in March for visits beginning July 17. It’s hard to tell how much progress is being made in the rooms that are being converted to DVC villas and studios. 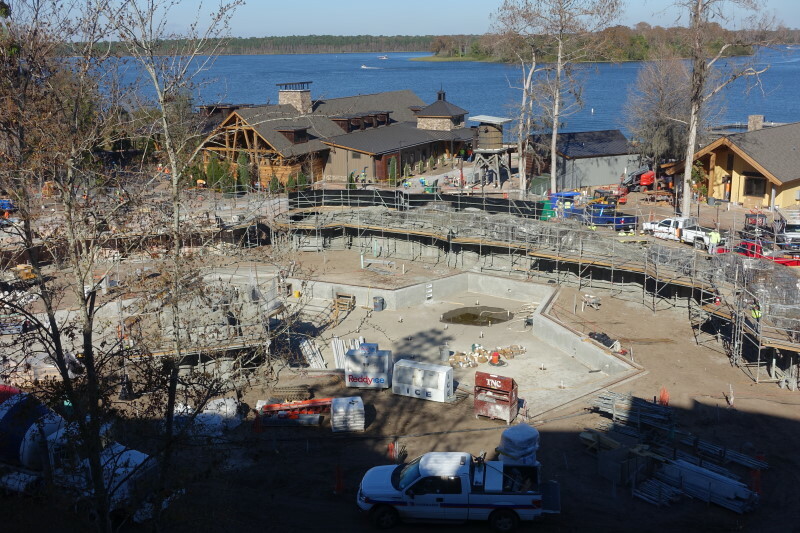 Update 3/6: This Wilderness Lodge refurb should be complete by mid-July. It looks to me—and I have no inside knowledge here, but am rather guessing based on the pace of change—that the amenities could all be done by the summer, but I have no idea when the new rooms will be available, in what order they will open, or when the construction walls in the upper reaches of the lobby will come down. For most of this, though, mid-2017 is probably a better bet than the end of 2017. Pop Century kicked off is expected to kick off a room refurb in March 6. The current two full bed rooms will be replaced with rooms with one queen and one full murphy bed that is a table when not deployed, similar to the ones in the suites at Art of Animation (above). The Yacht Club room refurb is complete on the 5th floor, and in progress on the 4th floor. It should be done by the end of the year. The room refurb at the Dolphin is on hiatus until the summer, I was told, when refurbs will kick off in the east (closer to Epcot) side. I stayed in a refurbed room here in my January visit, and will do a full report soon. The main difference is the simplified bath, above. The Kidani Village refurb is complete. I’d stayed in a refurbed Studio in 2016, and stayed in a refurbed One Bedroom in January. A full report will come out soon, but changes are minor.